Team India will be on the tour of Ireland in June 2018. 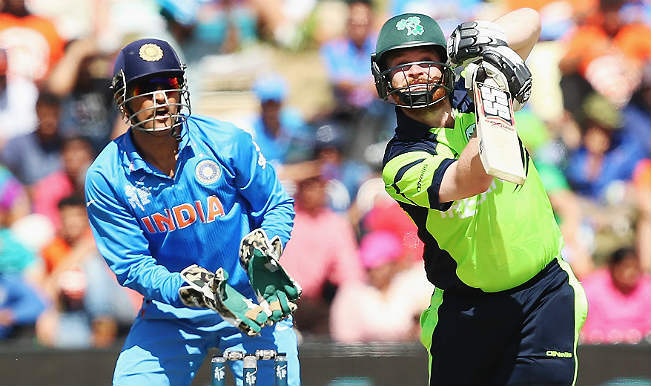 The Indian team will play 2 T-20 matches on the tour of Ireland. This tour will be at the end of June after that Team India will tour England in July. The special thing is that the Indian cricket team did not visit Ireland in the last 10 years, the BCCI issued a statement on Wednesday and said that in the Indian team will make tour of Ireland after 10 years. Team India visited Ireland in 2007 and will land Ireland after 10 years. India will play a series of 2 T-20 matches on 27 and 29 June in Dublin. Team India has played only one T-20 match against Ireland So far. This match was played in Nottingham during the 2009 T-20 World Cup. Dhoni had done a tremendous performance in IPL 2018 with his bat and scored 455 runs. Now Team India would like Dhoni to continue the IPL form in international matches too. Dhoni has played 89 T20 matches so far. During this period he has scored 1,444 runs with an average of 37.2 and a strike rate of 126.55. Dhoni’s bat has two half-centuries.